I am not talking about them. I will refer solely to men and women who don’t cover their faces with makeup or garments. I am not going to talk about low temperatures either, therefore I’ll skip the “your face might turn red when you are cold” or the “face might turn red after intense physical exercise” annotations. This entry refers solely to direct human interactions: the “face to face” situations when you’ll need to interpret basic body language signs to translate unsaid messages. 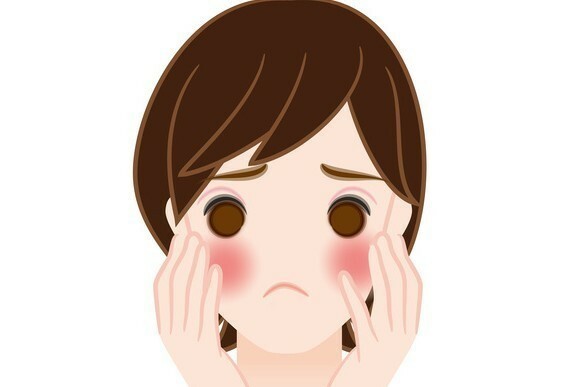 Blushing is one of the clearest sings in the non-verbal communication. It is caused by the arousal of the sympathetic nerve, which governs the “fight or flight” response. The sympathetic nerve causes blood vessel contractions and visible body reactions such as facial flushing, palm sweating, faster heart beating and so on. Although responsible for such strong reactions, the sympathetic nerve is not involved in motor functions. Meeting new people will lead in special cases (extremely shy people) to a form of stranger anxiety. This anxiety will set off various physical reactions, often unconscious and uncontrollable. The facial flushing is one of them. Another cause for becoming red might be shame. When people make a mistake or have to deal with a confusing, embarrassing situation, the reactions will include anything from blushing to turning away and even leaving the room. Anger and rage are two of the strongest triggers. So strong that the expression “turn red with anger” is already as spread as “turn green with jealousy” and “see black”. There are people (just in case I’ll get a “I always turn red” comment) who turn red in almost any social situation. For some of them this is an embarrassing problem. Medical treatment might help: since a few years surgeons are able to perform (more or less successfully) a procedure called thorascopic sympathecotomy used mainly to treat mild cases of palm sweating (palmar hyperhidrosis), and quite effective to control facial flushing. The procedure is simple: a surgeon snips the sympathetic nerve governing the facial blush. But you shouldn’t opt for it without being aware of the risks and side effects. Read here the story of Mark Kimberley whose blushing problems almost destroyed his health and definitely destroyed his self-confidence. How to translate blushing in body language terms? It depends. You’ll know that your comments or presence are triggering embarrassment reactions. You’ll also know that a person is modest or shy. You’ll learn to stay away from an angry blush, although in anger situations, this is not always a sign of a possible aggressive response. As a matter of fact, psychologists believe that people displaying such reactions are more likely on the “losing” side and unlikely to react violently. Sure, there are exceptions, and you cannot read body language out of a context. You have to watch out for all the signs before concluding that an angry blusher is a defeated enemy. I gave you enough links in this article to lead you to interesting related articles. I am not going to recommend a book this time. If you want to see some and read user reviews, feel free to visit my Amazon store. I have seen people blusing when they are told something nice (read touching deeply), in addition to Meeting, Anger, Sham. What do you say about that. I see I’ve got a faithful reader. Thank you so much! I think we are just beginning to articulate what our subconscious knows about “reading” each other. Thanks sweetie for a very interesting article! This is certainly a complex issue and many sufferers do find comfort in certain techniques to alleviate the problem, even if they know it will come back.